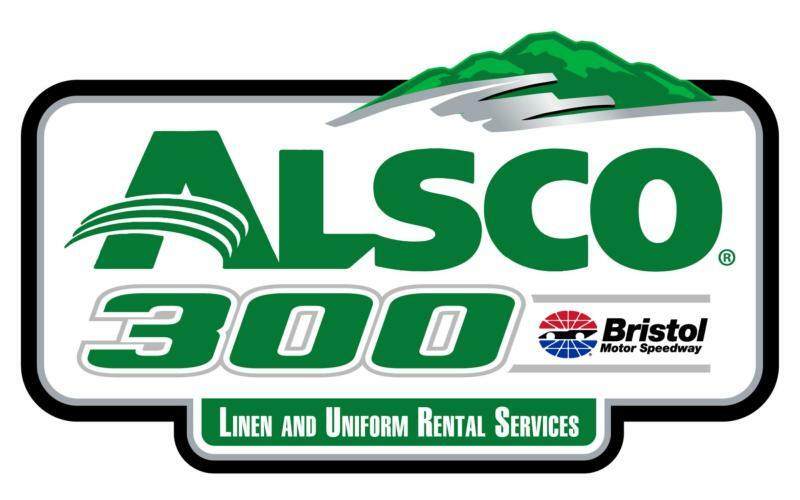 Alsco, a global leader in uniform and linen rental services, has signed a multi-year agreement to become the title sponsor of the April NASCAR Xfinity Series race at Bristol Motor Speedway, track officials announced today. The race boosts Alsco's NASCAR Xfinity Series entitlements to three, as the company also recently extended Xfinity Series event sponsorships at BMS sister tracks Kentucky Speedway and Charlotte Motor Speedway. Alsco is the only company with multiple race sponsorships on the NASCAR Xfinity Series schedule in 2019. 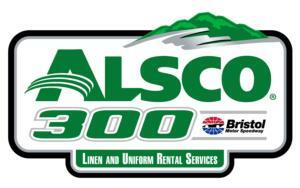 The Alsco 300 at Bristol Motor Speedway will be held Saturday, April 6 with television coverage provided by FS1. "We are thrilled to welcome Alsco into the family of sponsors here at Bristol Motor Speedway," said Jerry Caldwell, executive vice president and general manager, BMS. "It's exciting to be the first race of an Alsco Xfinity Series tripleheader in 2019 along with our sister tracks at Kentucky and Charlotte. We look forward to helping Alsco achieve their marketing objectives and increase their brand awareness while they help us put on one of the most action-packed Xfinity Series races of the season on the high banks of The Last Great Colosseum." The Alsco 300 at Charlotte Motor Speedway will be held Saturday, May 25 and the Alsco 300 at Kentucky Speedway takes place Friday, July 12. "We are proud to expand our level of involvement with NASCAR by adding a third Alsco 300 to the Xfinity Series schedule, this one at Bristol Motor Speedway," said Jim Divers, Alsco's director of sales and marketing. "The folks at Bristol go out of their way to make sure everyone feels like they're at home when they visit there. It's such an incredible experience. We felt like it was the perfect place to add another race entitlement. Our partnerships across the racing world, together with Red Kap, have given us great exposure, opened doors, and have given us opportunities for valuable business partnerships." In addition to the trio of Xfinity Series races, Alsco has expanded its hospitality package in 2019 with Speedway Motorsports, Inc., in order to provide race experiences for employees, customers and prospects at more venues, including Atlanta Motor Speedway, Sonoma Raceway, Las Vegas Motor Speedway and Texas Motor Speedway. Alsco also provides sponsorship on the NASCAR team level with Richard Petty Motorsports and Richard Childress Racing. Look for another team announcement from Alsco later this month. The Alsco 300 at Bristol Motor Speedway is part of a NASCAR weekend that also includes the Food City 500 Monster Energy NASCAR Cup Series race on Sunday, April 7 and the NASCAR K&N Series Zombie Auto 150, also on the 6th. Tickets for all three races are still available. Alsco 300 tickets start at $30 and are free for kids 12 and under with a paid adult. Race weekend packages start at just $80 for adults and are $10 for kids. For more information, visit www.BristolTix.com or call 423-BRISTOL.